Win €100k investment in your DJ career! The world’s biggest DJ competition, BURN Residency 2017, seeks out the best undiscovered talent from across the globe. 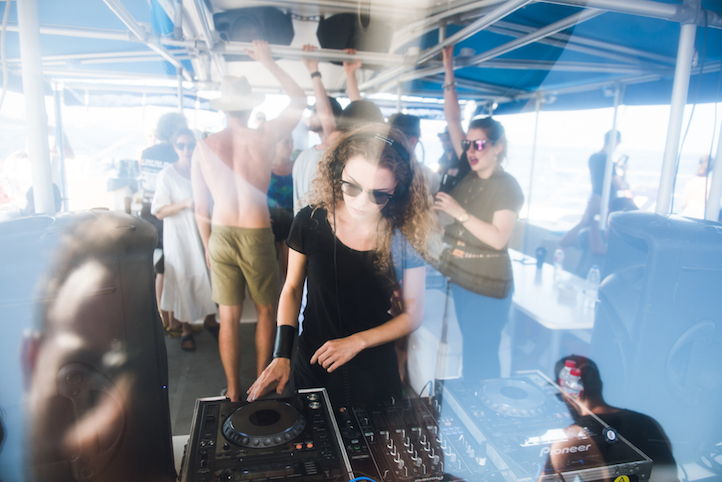 BURN Residency offers undiscovered DJ talent the opportunity of a lifetime, a career jump-start that puts them onstage in a European city as well as a 5 week Residency in electronic music mecca, Ibiza. The crowned winner will receive a €100,000 contract – a direct investment into their new career as an emerging DJ. Each stage of the competition will be judged by a panel of industry experts and international DJs. 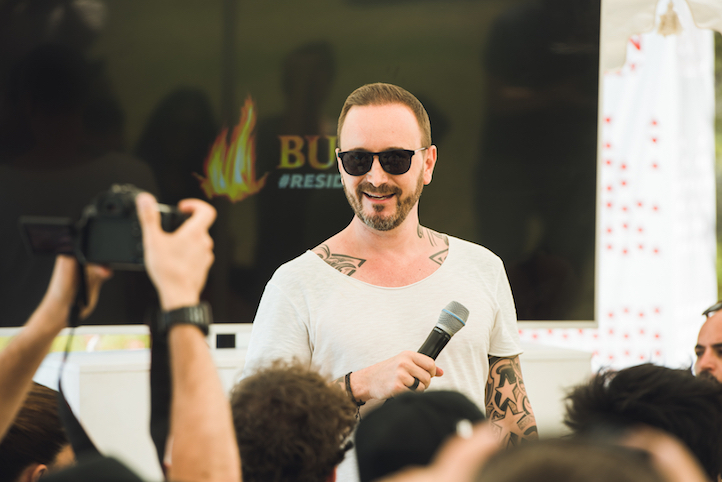 BURN Residency has seen guest mentors and judges such as: Carl Cox, Pete Tong, John Digweed, Maceo Plex, Steve Lawler, Luciano and Jamie Jones invest their time into competition and offer candidates tips and tricks on how to build a successful DJ career. Once we have collated all the mixes, our expert DJ jury will evaluate the mixes and will pick winners for the top five DJs per country, based on each competitor’s abilities on deck. The top five DJs from each country, as selected by the elite central jury, will be invited to a live mix off event. Finer details can vary by country, so be sure to keep yourself updated on locations and timings as the competition heats up. The contenders will be narrowed down to a short-listed 26 candidates – 1 mix-off winner from each country, plus any wildcards. They’ll then participate in the first stage of boot camp – a four day test where only 16 will continue on to the next phase – a gig in a European city. The 16 DJs will then travel to a European city, where they’ll get to perform at a BURN supported event. BE-AT.tv will live stream each event allowing contestants sets to be watched by thousands of people from all around the globe. Next, the lucky 16 DJs will be flown to Ibiza to spend up to 7 days at the second stage of the BURN Residency ‘Boot camp’ in the world’s dance music capital, Ibiza. During this time, the competitors will attend lectures, workshops, DJ master classes and will undertake numerous production and performance challenges. During boot camp budding DJs will be personally mentored by a string of BURN ambassadors, helping them improve and understand their craft professionally. This is a unique opportunity to grow and potentially win this competition. The day of reckoning lands on the final day of the DJ boot camp. After a fun-fuelled, sun-drenched few days experiencing what life is like as a DJ, we will announce the three finalists. The trio will be continuing on to the clubs to play 5-week residencies. Once the closing parties are all played out and the sun finally sets on the summer of 2017, one DJ will be appointed the winner of BURN Residency, landing the grand prize of €100,000 to invest in their music career. To ensure our BURN Residency winner remains on point, a one-year contract with a management company is on offer. CEO of Titan International, heavyweight dance music mafiosi Philipp Straub founded his company to facilitate the progression of electronic music. A deeply passionate DJ and producer, he is a leading figurehead and hero of the BURN Residency competition. Philipp’s 23-year long career working as a DJ and producer has helped inform his 3D understanding of what it takes to make crowds have a dangerously great time on the dance-floor. Titan is counted as one of the leading agencies of its kind in central Europe. Mainly because of the innovative creative strategies Philipp applies to industry clients, approaching good times as if they were a currency requiring investment and careful consideration, he is a true stalwart of club music. Laterally minded, the Titan Trojan counts endorsement deals with well known multi million pound companies. Intuitively gifted, Philipp can identify talent-translating ammeter to excellence with intelligent guidance and dedicated creative investment. He is the man with a Midas ability to establish burgeoning brilliance. Hailing from Torino, Italy, Lollino, became renowned locally for his vinyl record only sets – a rarity in the electronic music scene. In 2016, he applied for BURN Residency, making it through the initial stages of the competition by impressing the judges at his local mix-off with his vinyl record only set. 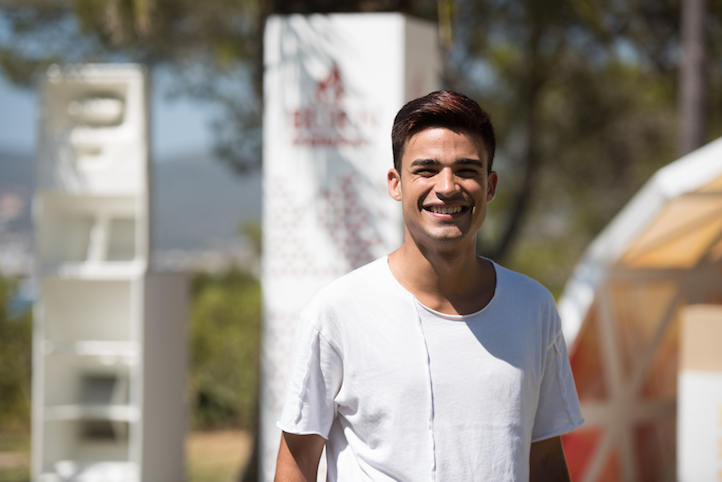 At BURN Residency boot camp, Lollino made it through to the final three, followed by a two month stint in Ibiza with Residencies at iconic clubs across the island, including Café Mambo, Sankey’s and Privilege. On September, 28th 2016, Lollino was crowned BURN Residency winner, the news unveiled on a billboard in Ibiza town from there he went straight to legendary club Amnesia to deliver a vinyl only set! Since his win, Lollino has been on a whirlwind journey, signing to Ask My Management, releasing his first mix on John Digweeds label, a weekly radio show ‘People Like Us with Lollino’ on Ibiza Sonica and delivering sets at Movement Festival and HYTE on New Year’s Eve. 2015 winner of the Baltics at BURN Residency and 4th place runner up back in 2014, Samanta conjures deep and moody, industrial techno and deep house on deck. Crafting out distinctive, dread-infused builds that span wide-ranging sonic landscapes, her multidimensional imagination is intense. Originating from Lithuania, Samanta’s vast following first grew organically. The strong rep she now fronts was a result of the select parties she stormed with her early sounds. Now aged 24, she already benefits from over a decade of mixing - Samanta first began experimenting with mixing decks age 12. Play counts for her online releases quickly escalated as her mesmeric mixes gained momentum and today, the kiss curl haloed female DJ books sold out shows. A firm favourite of our favourite Carl Cox, Samanta is a staple on the Space Revolution stage. As one of the BURN Residency alumni, she possesses an instinctive talent for producing a homeostatic sound that initially feels understated but grows to grandiose proportions. Flying the flag for powerful women in music, she represents a generation of budding alpha females set to storm the dance charts. 22-year-old Javi Row, full name Javier Garcia Ramos, might be ridiculously good looking, but he is so much more than just a pretty face. A Canary Islands native, Javi comes from a classical background, and first gained notoriety via local DJ talent competitions, which he began winning from age 14 on. 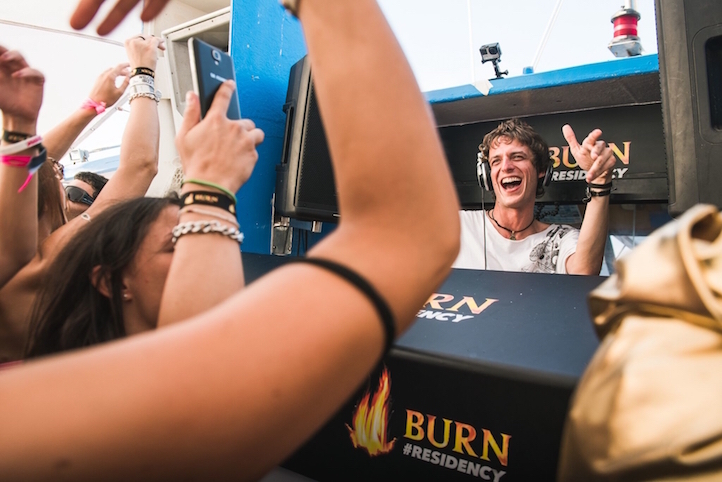 Entering BURN Residency proved monumental for his career. In 2014, the deep house DJ connected with his hero Carl Cox and has since gone on to become part of the ‘Carl Cox Revolution’ at Space Ibiza, performing alongside the man himself at the world famous Monegros Desert Festival. Breaking his debut via John Digweed’s legendary ‘Bedrock Records’ compilation series, Javi broadcasts a heavily subscribed show via Ibiza Sonica radio every Tuesday.